Across New York State, White students were given nearly twice as much access as their Latino and Black peers to a range of key gatekeeper and advanced courses in middle and high school in the 2016-17 school year. They were nearly three times as likely to be enrolled in advanced courses like Advanced Placement Math and Science. Source: The New York Equity Coalition, Within Our Reach. New York schools suspended a student at least once every minute during the 2016-17 school year. 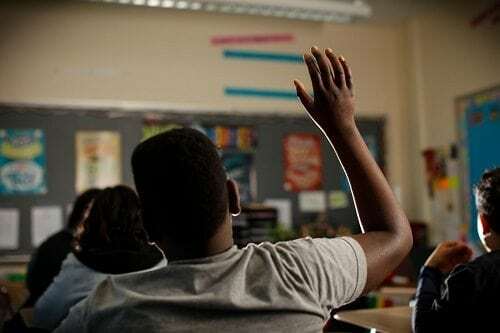 That year, New York State’s education system suspended Black students at more than four times the rate of White students outside of New York City and more than five times the rate of White students in New York City. Source: The New York Equity Coalition, Stolen Time. 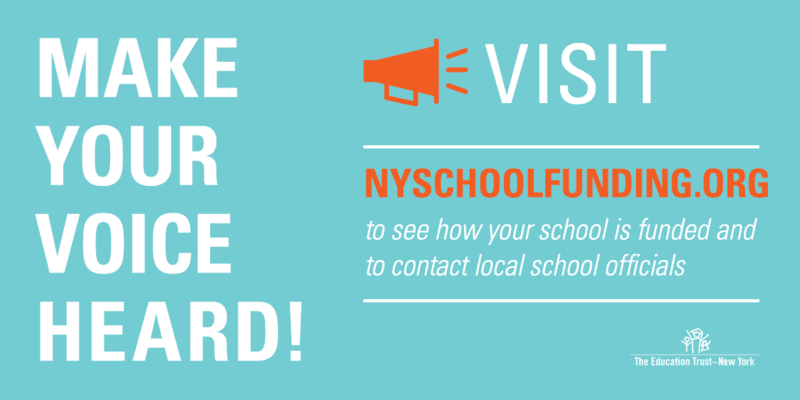 New York’s largest school districts are frequently failing to provide their highest-need schools with significantly greater levels of resources so that all students receive the support they need to succeed. 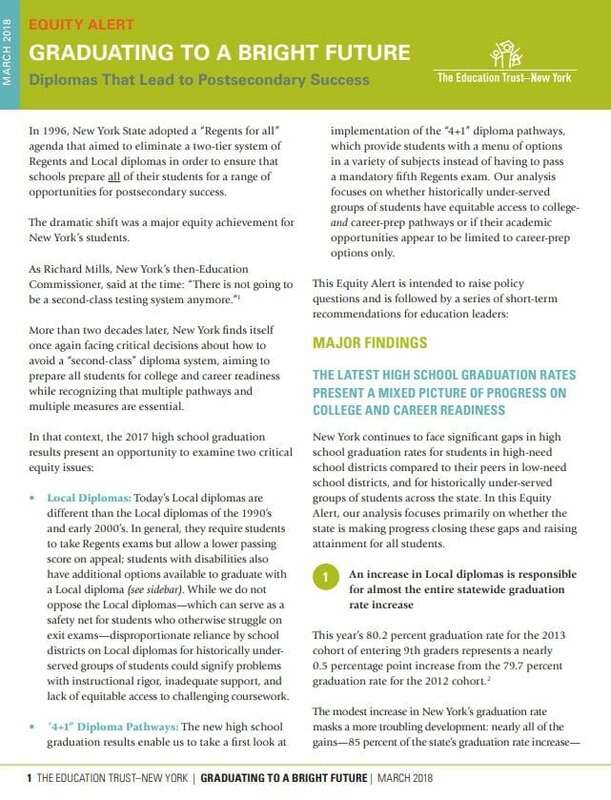 EdTrust–NY’s analysis of how Big 5 school districts planned to distribute state and local funding between the schools that serve the smallest share of low-income students compared to the schools serving the highest share of low-income students in each district found relatively little difference in budgeted per-pupil funding levels. 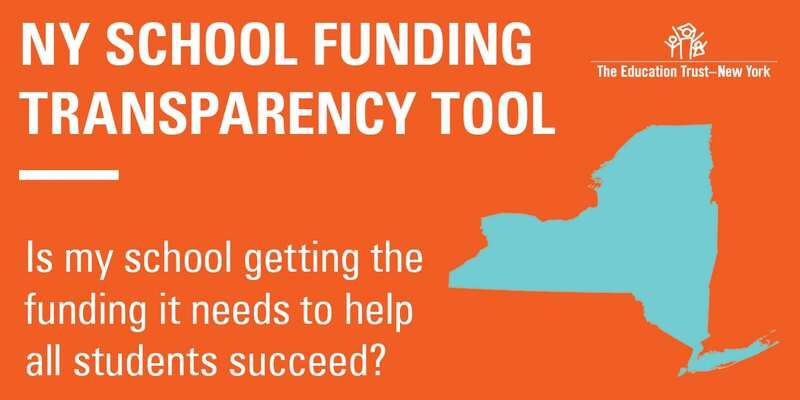 Source: The Education Trust–New York, NYSchoolFunding.org data tool (preliminary data). One-third of all New York schools had no Black or Latino teachers in the 2015-16 school year. As a result, more than 115,000 Latino and Black students were enrolled in schools without a single full-time same-race/ethnicity teacher, and nearly half of the state’s White students attended schools without a single full-time Latino or Black teacher. 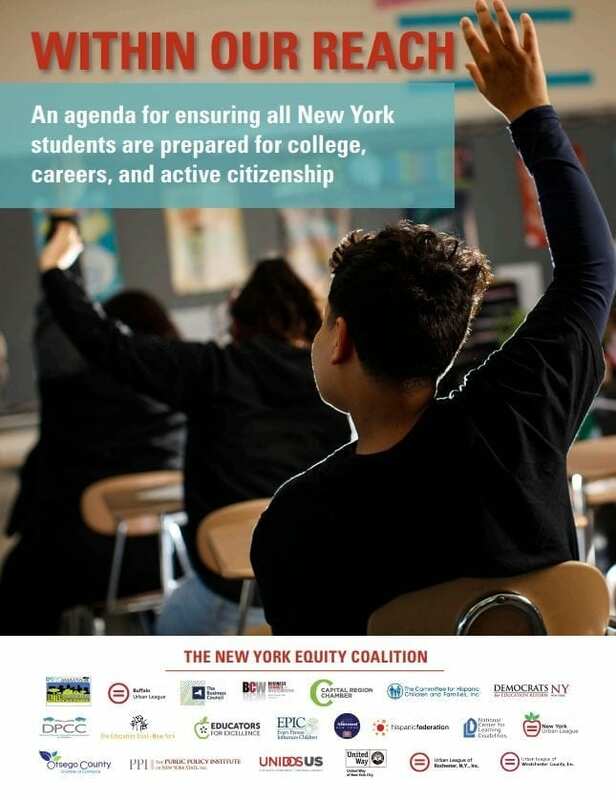 Source: The Education Trust–New York, See Our Truth. “Black and Hispanic students [are] more than ten times as likely as White students to be placed with a teacher who received a rating of Ineffective. [English Language Learner] students are twice as likely, and students with disabilities are nearly twice as likely, to be placed with a teacher who received a rating of Ineffective, compared to their counterparts.” Source: New York State Education Department, Approved New York State ESSA Plan. Between 2016 and 2017 the amount of student loan debt New Yorkers collectively owed increased from more than $86 billion to over $90 billion. The problem was particularly acute in communities with average household income under $50,000, where the total inflation-adjusted debt burden increased by 44 percent in just six years and with average delinquency rates that far exceed that of wealthier communities. 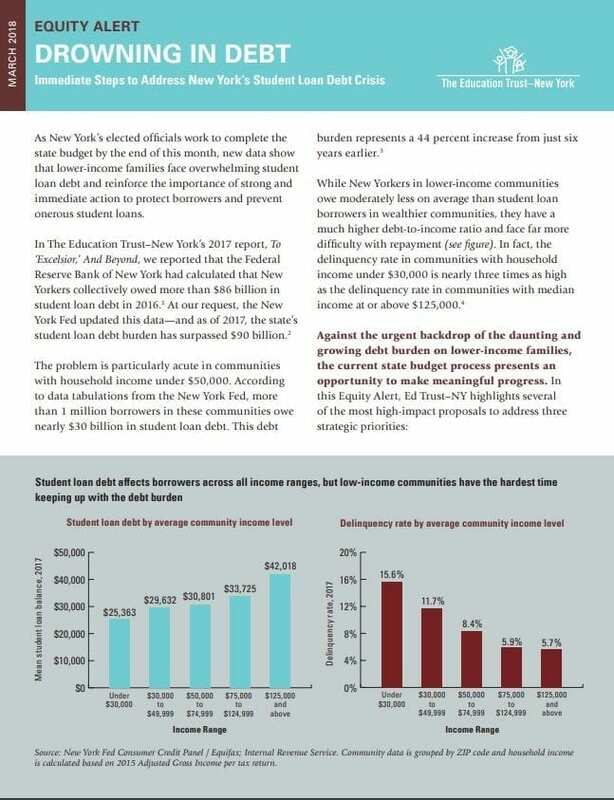 Source: The Education Trust–New York, Drowning in Debt.